Matic said: "Goga Bookshop is located in the town of Novo Mesto in the south-east of Slovenia, and it is basically an NGO. 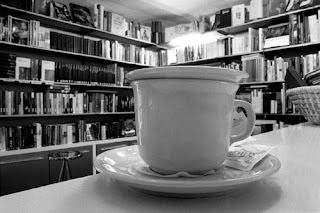 What makes it special in our country is the fact that it is specialized in selling only high quality books (most bookshops in Slovenia also sell office material such as pencils, paper clips...), it also offers a small collection of CDs (namely jazz and world music) and off course coffee. Goga bookshop is an integral part of Goga publishing house." Goga bookshop most definitely belongs to that rather rare and precious category of bookshops which deserve to be called an institution. The scope of Goga's cultural activities is really impressive Judge for yourselves: it is a publishing house, focused mainly on out-of-mainstream titles, but it also publishes music - jazz and world music being its specialties. The publishing house preceded the bookshop by 2 years as it started operating in December of 1998. The publishing of their first book in the early 2000 was soon followed by the opening of the bookshop, which started welcoming customers in its modest premises in the old town part of Novo Mesto in 2000. The millennium year was very busy for Goga, as it also witnessed the launching of the Goga Music record label. 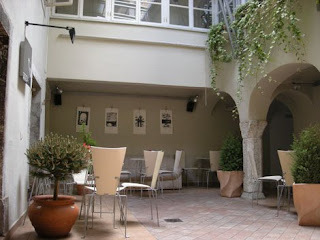 Besides this, the bookshop also works as a café and it houses a wide range of cultural activities. An important part of the bookshop is its atrium, which you can see in one of our pictures. This space is often used for exhibitions, performances or discussions organized by Goga, which is known for supporting young artists. Saying that Goga Bookshop is an integral part of the local cultural scene is definitely not an exaggeration as the bookshop organizes or participates in more than hundred events every year. 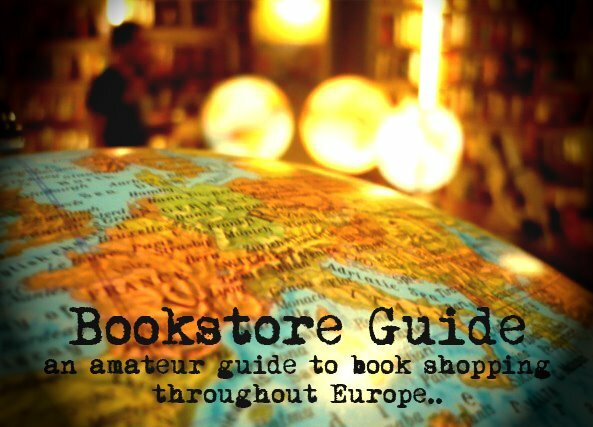 And although Goga is active in many fields, it's still primarily a bookshop and the vast majority of its activities have to do with the literary scene. As of now, Goga doesn't pay any special emphasis to English books, and its English stock consists mainly of editions distributed or published by Slovenian editors. However, if you're interested in finding out more about Slovenia, its culture, nature, history or literature, you'll surely be able to choose. If you'd like to discover a country through its literature, you'll surely appreciate English translations of selected Slovenian authors such as France Prešeren, Srečko Kosovel, Vladimir Bartol and others. I love your blog! Where did you find all this beautiful places?